Stumped on what to get your teenage niece for Christmas? Look no further. This is the perfect gift for any young girl…or any woman who has never really grown up. 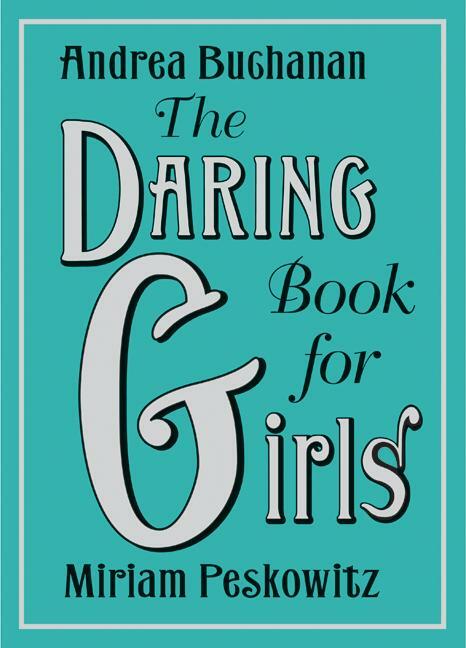 The Daring Book for Girls, by Andrea Buchanan and Miriam Peskowitz, is jam-packed with information every girl needs, like how to change a tire, how to conquer public speaking, and even how to survive in the wilderness. This book can be read front to back or can be used as an easy go-to reference. While it’s not the best reference book out there, the writing is fun and witty and the colorful art helps make this a very enjoyable read. Interspersed with how-to articles are stories about famous women in history, women who have changed the world, and women who have gone on to achieve amazing things. Read about Cleopatra and her rise to fame, as well as Joan of Arc and her ultimate sacrifice to fight for what she believed in. This isn’t just a girl’s guide to boy stuff…there’s some girly stuff in there, too…like how to make friendship bracelets, how to make a daisy crown for your head, ideas for sleepovers, and there’s even a list of books every girl should read. Check this book out the next time you’re in a bookstore. Also available is The Dangerous Book for Boys, as well as many other varieties.